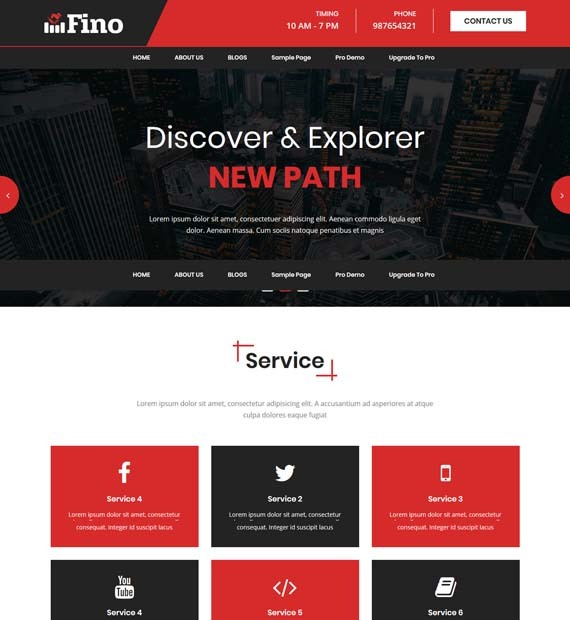 Fino is Gutenberg ready free WordPress theme that is perfect for any kind of business website. This theme is fully customizable with live previews to enable users to easily build attractive and modern websites. Not only is it responsive for all devices, but Fino is also retina ready, SEO friendly, compatible for all major browsers, and translation ready to boot. This awesome theme has also been tested with the major Page Builders plugins.